timenote is a web based time tracking software for small or medium sized enterprises and freelancers. 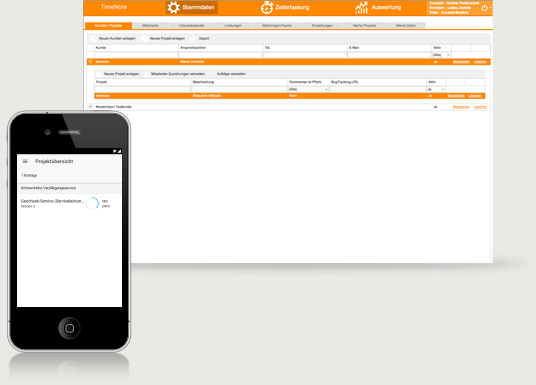 Experience high precision and enjoy great simplicity for your invoices. And it's even inexpensive, too! There's nothing more important in modern work environments than a clear and structured planning of projects, as well as fast access to needed information like work progress and tracked hours of employees. Timenote is assisting you during the whole project phase and also offers you a broad range of tools, so that you can keep your head clear at any time and make the right decisions. Beneath the tracking of work time it is also useful to have an overview over the absences and leave days of your employees. 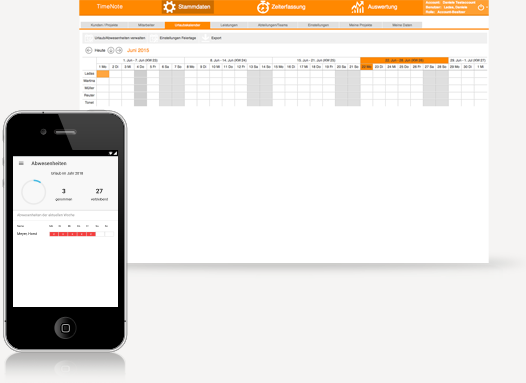 All tracked absences can be viewed by all of your employees with the help of a well structured calendar. As Time-Recorder tagged employees, record their Working-Hours due to entering: Duration, Start- and Endtime within the Time-Recording-View. Additionally it’s necessary to define a Projects respectively an Assignment. As a Time-Recorder you choose your activity from a pre defined spectrum, checking a checkbox if the activity is billable or not. Even a notice can be left if the reporter wants to. In the evaluation section the billable hours will be calculated together with the hourly rate of an employee resulting in the sales. 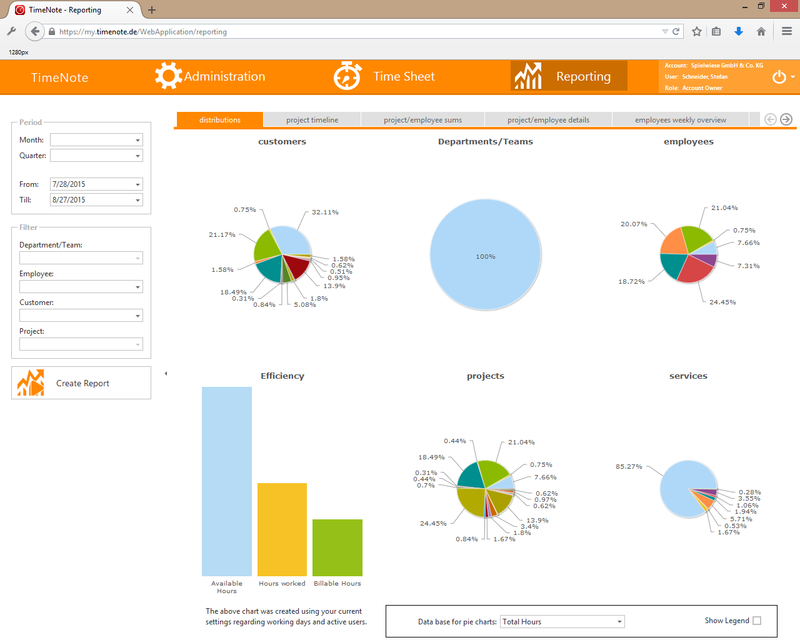 Time tracker will only be able to view their assigned projects, filtered by time period. "Reporter" on the other hand can additionally filter evaluations for projects or employees.